Time is the great equalizer. Everyone is given the same number of minutes every single day. How you choose to use them — and the joy you choose to get out of them — is up to you. Once upon a time, I thought it was my solemn duty to cram as much productivity into each day as humanly possible. I studied time management. I was the queen of the schedule, knowing exactly how many minutes it would take me to get from point a to point b, and the precise buffer I needed to factor in for dawdling children. I wowed my friends with my ability to hold down a full-time job that required some travel, decline hired help for my kids, homeschool my kindergartener, keep a tidy house, cook dinner almost every night, still get eight hours of sleep, and hit the gym several times a week. Time was my slave, and I its master — or so I thought. But the truth was the other way around — the slave was me. 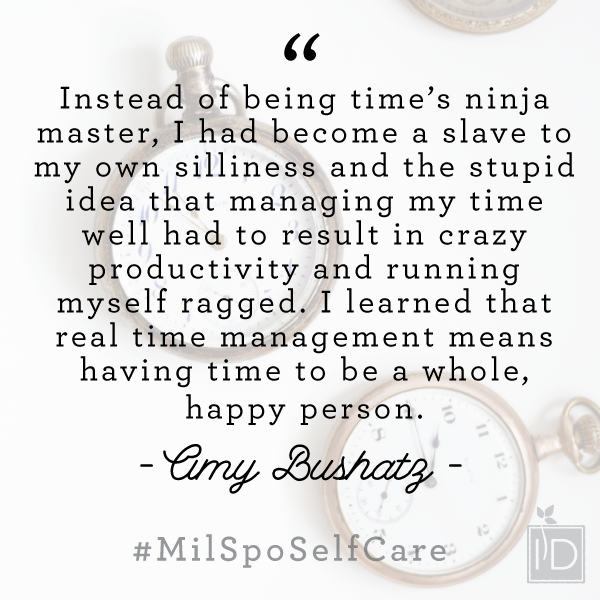 Instead of being time’s ninja master, I had become a slave to my own silliness and the stupid idea that managing my time well had to result in crazy productivity and running myself ragged. Instead, I learned that real time management means having time to be a whole, happy person — while knowing that the definition of “whole” and “happy” can fluctuate. I’m Amy Bushatz, the owner of Humans Outside and a longtime military reporter and editor. I started Humans Outside to chronicle our journey as we sell everything and go on the adventure of a lifetime, while encouraging others to do the same — a project that wouldn’t be possible if we didn’t know what we want and know how to manage our time to get us there. This month I’m going to help you learn to manage your time with one singular focus: to figure how to make the most out of your life and achieve the happiness goals you have. Tricks for using your time for the things you enjoy - while ditching the things you don’t. To do that, we are going to pair two fantastic experts and resources in time management and happiness and their books. 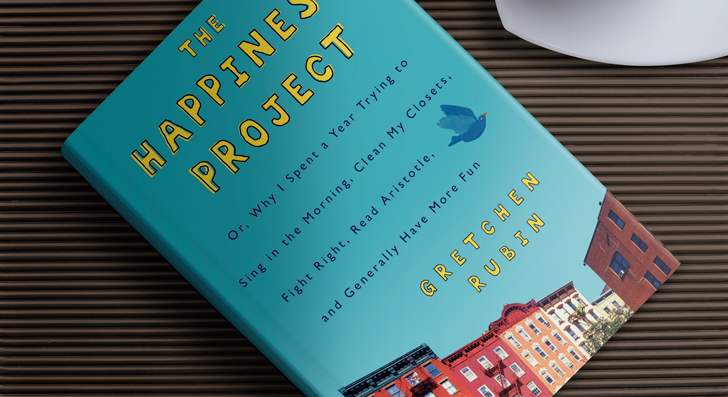 Join us for a podcast in the March 6, 2016 newsletter in which I interview Gretchen Rubin (who recently appeared on Oprah), and Laura Vanderkam (a member of USA Today’s Board of Contributors) to hear their best tips for you as you tackle this project. Wednesday, March 16, 2016 via Google Hangouts on Air at 8 p.m. EST. An email reminder will go out to all registrants Sunday, March 14, 2016. Space will be limited. First come, first served. The session will be recorded and emailed to those who register to attend. Join the conversation in the InDependent | Virtual private Facebook group. Here we will spark conversations and continue sharing online and local resources. Plus, each local community group will host an in-person gathering at the end of the month where you’ll have an opportunity to meet like-minded spouses.